This days one of the most powerful themes and layouts been offered by Elegant Themes and you will feel like yourself a professional web designer and create your WordPress site in minutes. However you can always try demos and see the layout packs and make your own decisions with your site needs. 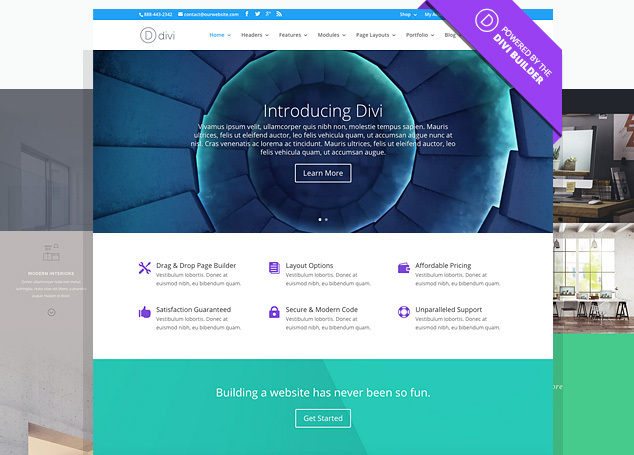 Elegant Themes Divi is a premium for members and you will be able to get latest updates and new layouts straight away in your Divi panel with latest security updates. Elegant Themes provides a package of premium WordPress themes all for one low price. Unlike some theme companies and marketplaces, you cannot purchase a single theme, but you will find that the package price is less than you would pay for a single theme in many marketplaces also you can get a lifetime updates is well. We have been with Elegant Themes many years and has been great and most of the time we do learn alot and see alot of tips tricks with WordPress. Just a amazing WordPress Theme club and you cant be with out Elegant Themes. So go get yourself a Divi and see all the Divi Layouts for your sites and give a try to one of the demos. Many other great reasons to select Elegant Themes and Divi layouts and you will love it if you are a beginner or creating your own website with WordPress. Divi is powered by the Divi Builder, an insanely fast and incredibly intuitive front end editor like nothing you have seen before. It will change the way you build websites forever. You can always visit Elegant Themes and learn find more about Divi Builder now.